Transport Safety APPG Air Safety Meeting with special guests BALPA to discuss current and future drone legislation with MPs and Lords. Members of Parliament and the House of Commons signatures. 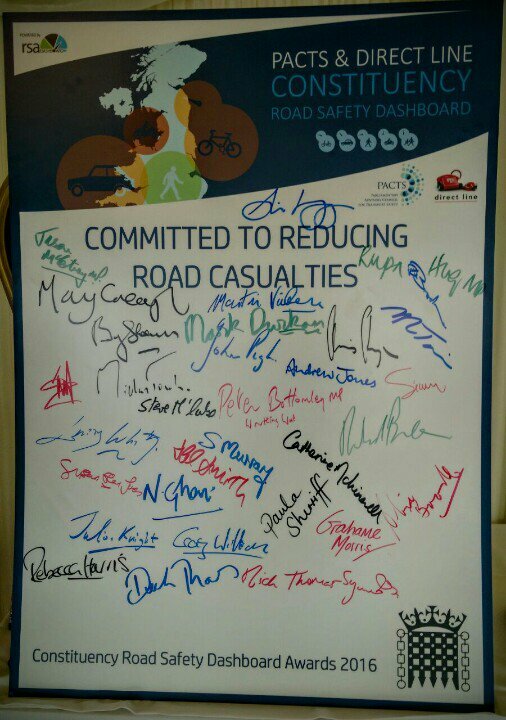 2016 Commitment to Reduce Road Casualties.